The Private Academic Library Network of Indiana Inc (PALNI) is excited to announce the addition of two institutions, Bethel College (Mishawaka, IN) and Saint Mary’s College (Notre Dame, IN), to the PALNI family. 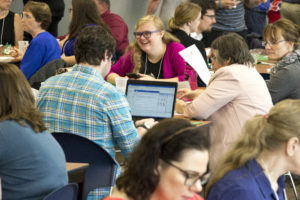 Bethel College and Saint Mary’s College join a highly engaged and collaborative group of private college and seminary libraries across the state bringing the number of supported institutions up to twenty-four. PALNI uses OCLC’s WorldShare Management Services (WMS) to provide direct, unmediated access to the collective collections of all the institutions without the need to export or import records. OCLC is also continuing development in WMS to support collaboration in analytics, licensing, and more. The PALNI board of directors has committed to “deep collaboration” between PALNI institutions, providing better service by sharing resources to reduce duplication and fuel innovation. New expertise from both schools will aid the consortium to increase collaboration efforts and enhance traditional services. Bethel College and Saint Mary’s College will have access to over 200 colleagues and support staff from the other PALNI schools, a cost-efficient contract with OCLC for the WorldShare Management Services, a consortia-wide resource-sharing program called PALShare, an instructional technology collaboration, affordable education initiatives, and a host of other services that continue to grow to meet the new needs of our students and faculty. The institutions’ librarians and their patrons will benefit from the consortium’s contract with OCLC’s WorldShare Management Services. 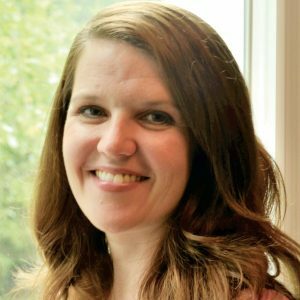 “OCLC has been closely collaborating with Kirsten Leonard, PALNI Executive Director, and the PALNI consortium since the group selected WMS as their cloud-based library services platform in 2013. More recently, we collaborated with several PALNI libraries to develop and pilot the new Digby mobile app to ensure that it delivered the right experience and simplified their libraries’ work. Their input was invaluable in making this app user-friendly for their student workers. 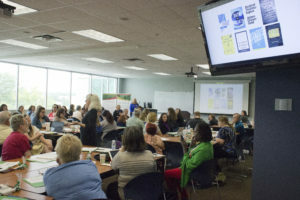 As we continue to enhance WMS to ensure it meets the needs of libraries and library groups into the future, we look forward to continuing to partner with PALNI and its newest members, Bethel College and Saint Mary’s College,” said Mary Sauer-Games, OCLC Vice President, Global Product Management. Saint Mary’s College, Notre Dame, Ind., is a four-year, Catholic, residential, women’s liberal arts college offering five bachelor’s degrees and more than 30 major areas of study, such as business, nursing, art, chemistry, and social work. Saint Mary’s College also offers two graduate degrees: a Master of Science and a Doctorate. All programs that fall under these degrees are co-educational and include a Master of Science in Data Science, a Master of Science in Speech Language Pathology, and a Doctorate of Nursing Practice. Founded in 1844 by the Sisters of the Holy Cross, Saint Mary’s College seeks, according to its mission statement, to educate students, develop their talents, and prepare them to make a difference in the world. Bethel College is a Christian liberal arts college that that offers both baccalaureate and master’s degrees in a wide variety of disciplines and areas of study. Bethel has as its mission to be a Christian community of learners dedicated to building lives of commitment for leadership in the Church and the world. In order to achieve this mission, Bethel provides liberating academic and co-curricular programs to challenge the mind, enlarge the vision and equip the whole person for lifelong service. 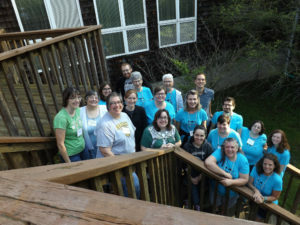 The Private Academic Library Network of Indiana (PALNI) is a 501(c)(3) owned by the twenty-four supported private academic institutions. The founding concept of PALNI is to collaborate to enhance teaching and learning through optimizing library resources and services. 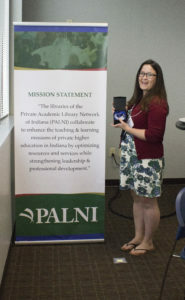 PALNI collaborates not only with other private academic institutions in Indiana, but also with other groups and consortia to reduce costs and compete academically through innovative services. Information management systems and sharing expertise in many areas including strategic planning, reference, information fluency, outreach, data management and configuration, scholarly communication, and instructional technology are just a few examples of our collaborations.